The latest Oppo smartphone to arrive in the Philippines is the A39. Equipped with a 13-megapixels main camera that features an ultra HD shooting mode and extra-large 1/3.06 sensor making it more attractive to those whose to take pictures using their smartphone. We all know that Oppo is known for selfie expert smartphone just like F1s, this new model also sports a 5-megapixels front facing camera with 1.4um pixels giving you better image output even in low light environment. It also features a 5.2-inch high definition IPS display with a beautiful 2.5D curve edges plus the scratch resistant Corning Gorilla Glass 4. The build also is made up of magnesium- aluminum alloy body with rounded corners that helps look even more premium in terms of design and quality. When it comes to specs, you can say it’s impressive for the price that fall under 11k budget. Oppo A39 is powered by a MT6750 octa-core processor paired with 3GB of RAM for smoother multitasking performance. We all know that Oppo’s UI looks like an iPhone, thanks to the all-new ColorOS 3.0 that is based on Android 5.1 Lollipop. 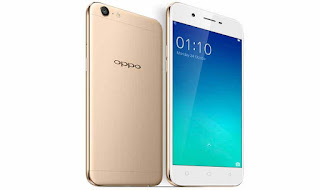 If you’re looking for another selfie phone, consider Oppo A39 features and price. You can get it for only PHP 10,990 at OPPO concept stores and kiosks nationwide.